My nickname when I was in high school.. When I was at high school, my nickname was bumpy protruding cheekbone . 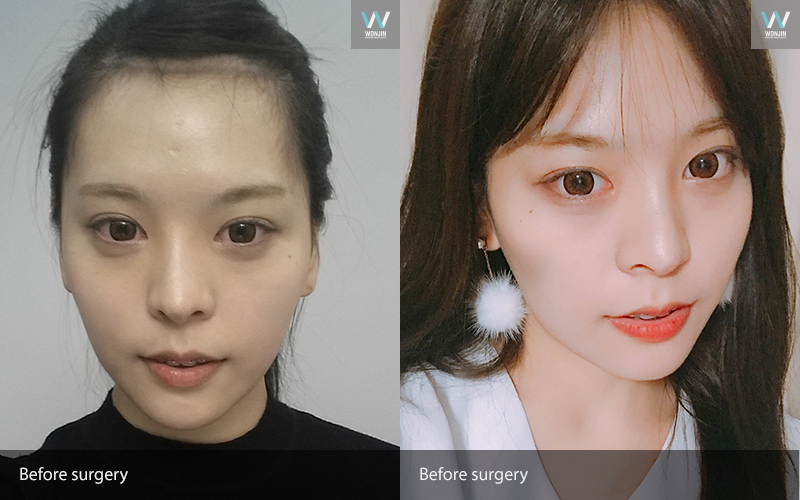 When I get smile, talk, Cheekbone was so distinct that I should cover it By my hair and hand.. Before getting university entrance exam, I got the consultation in advance and Made the appointment for the surgery In order to get it right after finishing the exam. I can’t wait to improve my complex! Most of all I was so happy once I saw my concerned cheekbone became set inside. 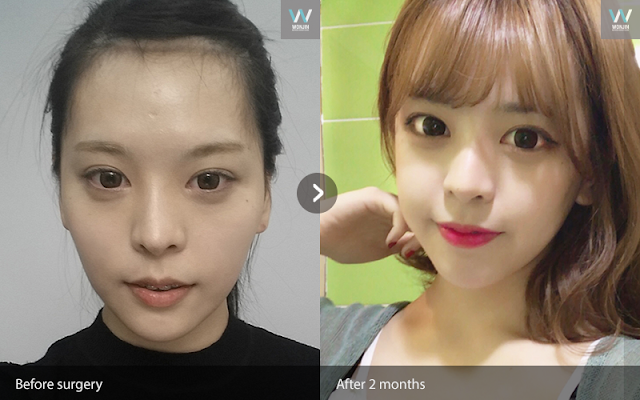 To give more volume on my little flattish forehead, I did fat graft as well and feel like being more dimensional and cubical myself. 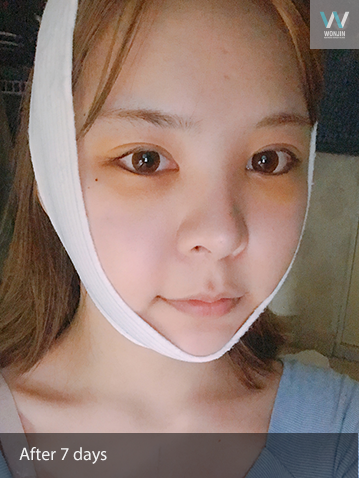 - Become so lighthearted after getting stitch removal~!! 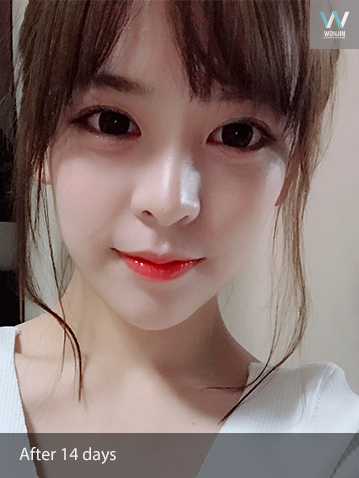 I removed whisker part stitch, It makes me so lighthearted~~!! Since I get removed the stitch and have no swelling, It looks really natural and nobody wouldn’t know. The recovery is really dramatically fast. - Day by day I feel as if I can fly away!! 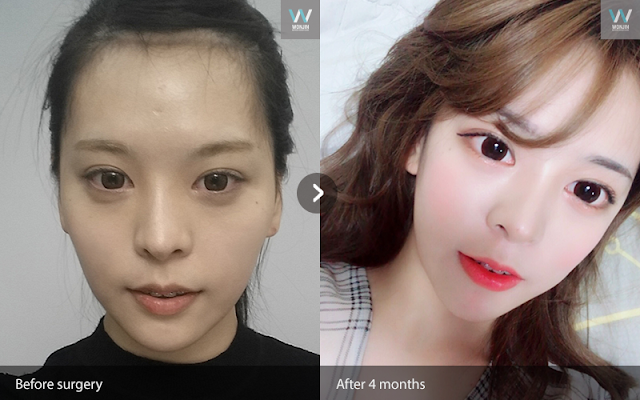 3months after the surgery It is so amazing I did face contour, eyes, nose, But my friends are surprised at How can I become such pretty like this. Now I realize why good choice for the clinic is important.